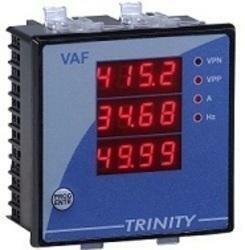 We offer various types of Display Meters, with Input signals mA, V, mV and RTD selected by software. These are provided with 2 relay alarm output free setting. These have isolate analogue output with Auxiliary output power supply 24V/12VDC max 30 mA. These require power supply of 85-265V AC/DC, and their consumption is less then 5VA. Owing to our experts and rich industrial knowledge, we are keenly successful bin presenting EBRIT Digital Panel Meter. Owning to our vast experience in this domain, we are able to offer our clients Parallel Input Panel Meter with utmost quality. These are extensively acclaimed by the customers for their salient attributes. So as to accomplish high level of customer trust, we are keenly betrothed in offering a broad consignment of Digital Panel Meter. These are made-up using finest-grade material at well-armed fabrication unit. Presented products are reviewed on pre-defined constraint of quality for confirming their durability. We are engaged in offering to our customer high quality of Digital Panel Meter. Accord Electro- Technies Private Limited. 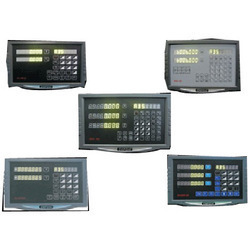 ACCORD Digital Panel Meters designed in view of the typical atmosphere and tropical conditions in the Indian Industry / Electrical Sub-stations. Reliable functioning / duty of the Meters is ensured through employment of latest quality components of reputed make & tested circuit. - State of Art Microcontroller Based Design. Digital board measures determine and illustrate every variety of techniques and electrical changes, such as force, current, temperature, speed, and current in an alphanumeric or number company, frequently as a bar information.